The plugin is easy to translate in every language: we provide the .pot and .mo files and you can easily translate the backend in every language using the free software PoEdit (download Poediti free here). The pot file included in this folder is ready to use. 3. 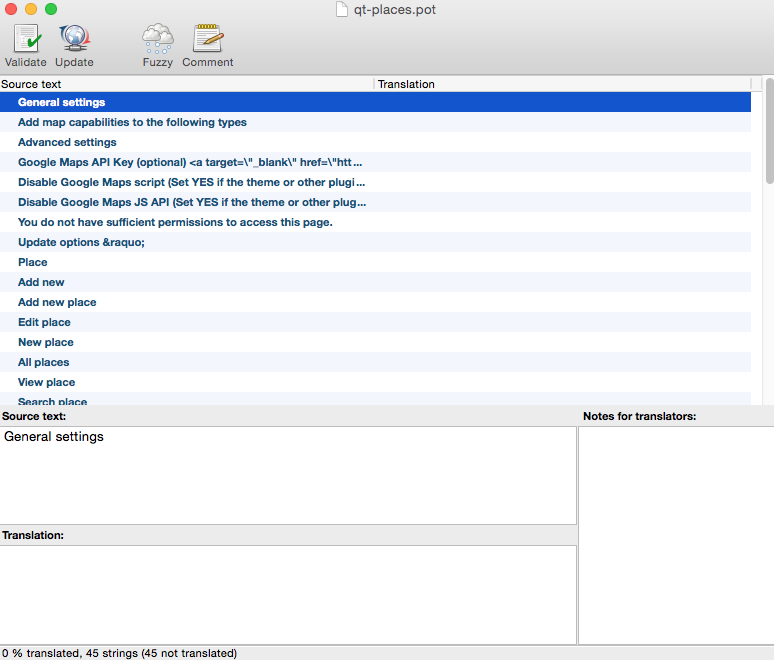 Select and Open the pot file from the languages folder. 4. Enter your name, email address, your language and country (i.e. French fr_FR, German de_DE) to the setting form. 5. Click the Update button in the main Poedit UI. 6. Save the file like qt-maps-xx_XX.po with xx_XX for your language and country. 7. That’s it, go to your WordPress blog and see your translation in action. N’joy your blogging!! !